Few if any California taxpayers are panting for a train that will be slower and more expensive than air travel. Brown also wants some $16 billion to dig a massive tunnel under the San Joaquin-Sacramento River delta. Yet, the governor opposes a $1.3 billion project to expand Shasta Dam, citing environmental impacts and flood risk. The water tunnel and bullet train would wield far greater environmental impact, but that is of no concern to a tax-and-spend hereditary governor in search of a legacy. If the state’s embattled taxpayers were to say they are “tired of all the nonsense” from this guy it would be hard to blame them. 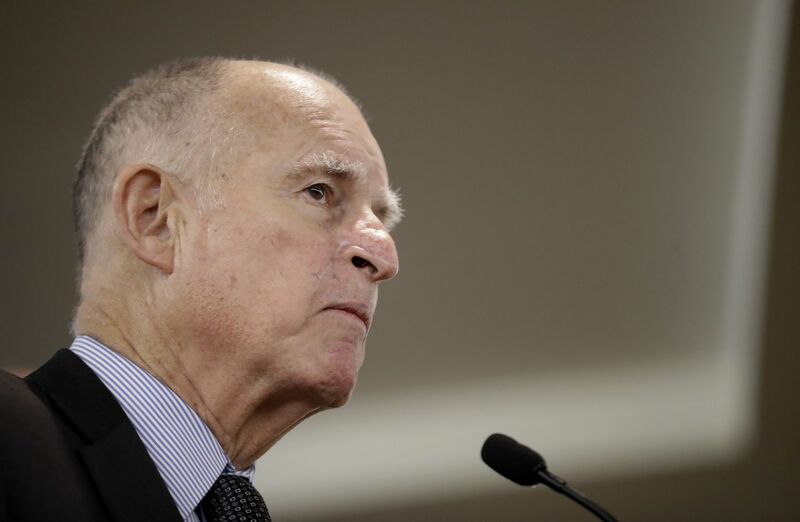 As for his quest to “put America back to work,” taxpayers might recall that Jerry Brown ran for President of the United States in 1976, 1980 and 1992 and failed all three times. I'm sure all those 'duh-versities' leftards and libertardians like coming over in droves will create high paying jobs and a tax base to fund his libtard wet dreams. California has a MAJOR issue with water. However, if you ask a politician why we don't utilize desalination plants like so many other nations, the answer is always "It's too expensive". I know the navy has used desalination aboard its ships for probably 50 years. Imagine the financial return to California if we had abundant water !! The guy who came up with the "5 Hour Energy" drink is a billionaire and has made wonderful prototypes for desalination units that provide pure water that can be used for agriculture. Watch "Billions For Change" on YouTube. Once again the evil hand of government enters our lives and hampers our freedom and prosperity.